We are going to see how can fetch the result from mysql table using php. 2. 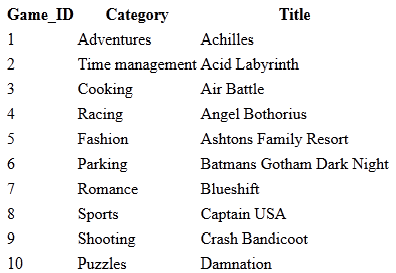 Then select the values which is present is table using mysql query.
" 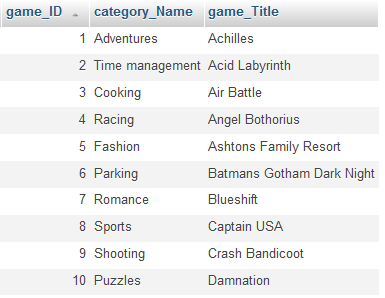 SELECT * FROM table_name "
Use above query, if you select all values in table. Otherwise you need to use 'WHERE' clause to retrieve desired data from table. 3. Then you have to use MYSQL function to retrieve data from table such as mysql_fetch_array(), mysql_fetch_row(), and mysql_assoc. mysql_fetch_array() returns row as numeric array, associative array or both. mysql_fetch_row() returns numeric array corresponds to fetched row. mysql_fetch_assoc() returns row as an associative array. Finally you can retrieve data from mysql table using php. Mysql_fetch_array() returns row as an associative, numeric array or both based on parameters passed in it. Three types of parameters can be passed in mysql_fetch_array function. It returns result as both associative and numeric array. You can retrieve data using both associative and numeric indices in php. It returns result as an associative array. Mysql_fetch_assoc() return row as an associative array. Here, we can use numeric indices to get values from mysql data using php. $res represents the first column of mysql table. But you can't use this to retrieve data from table. Because you used mysql_fetch_assoc() mysql function to retrieve data.